Saturday of the Nationals, the most important day!!! It started early and the first thing to come around was juniorhandling, or Juniorshowmanship as it is called in the USA. I have to admit that those young people performed their best, and it looked way better then it did the day before, apparently that was a practice and for real it was way better. Then in the upcoming hours there where only beautifull dogs, perfectly groomed and so well presented. I think everyone was very proud of their special dogs. At the time the best of breed had to be chosen every person in the building was crowded around the ring to watch what the Judge would do. 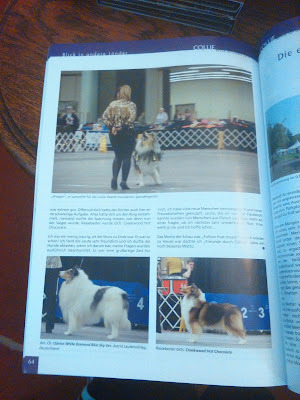 And at the end of the day a beautifull rough sable was chosen for best of breed. In all of the pictures I took I kinda got lost wich one was winner, but I will just post some nice pictures over here!! When the show was over, we browsed around the place a while and we chatted with some people, but most of them had an amazingly long journey to go home. So everyone was packing up their stuff and left. Many breeders and handlers now became real people and friends to me, and they pushed me to come also to Louisville Kentucky in 2016.
we where home again after a week of colliedom and friendship. 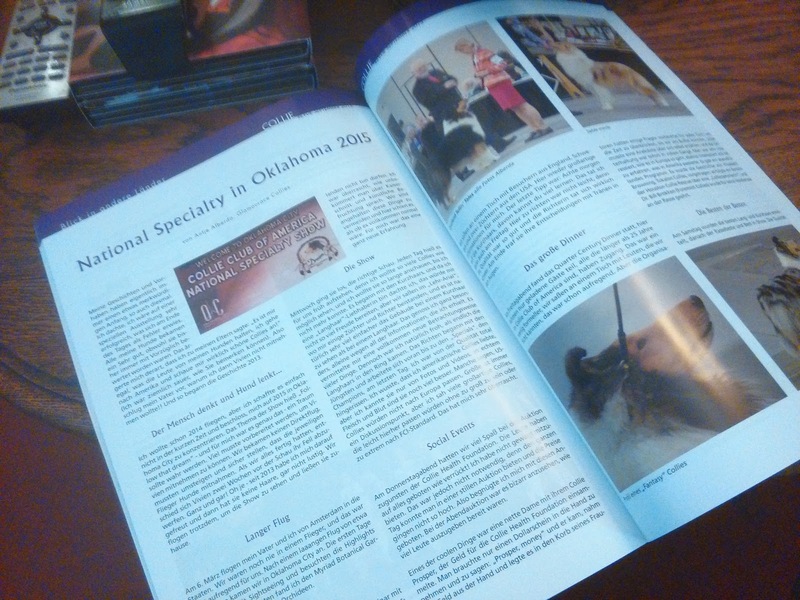 Very quick afterwards i was asked to write an article for Collie Revue Magazine. So I did and I could dive into my nice memories again, just like I'm doing now. I'm already so much looking forward to next time.